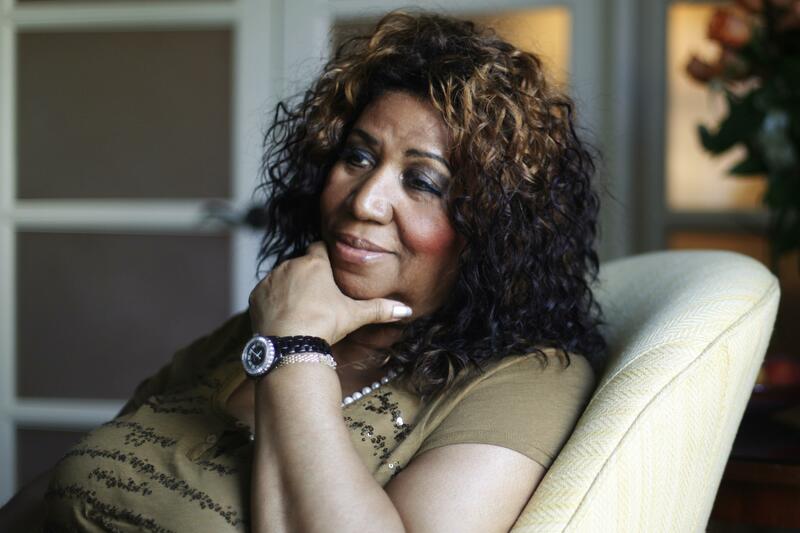 Sat., Aug. 18, 2018, 3:29 p.m.
NEW YORK – When I got the chance to interview Aretha Franklin for the first time in 2001, I was already a bundle of nerves: Even though it was just over the phone, I’d be talking to THE Queen of Soul! You could get no closer to rock ‘n’ roll royalty than the Queen herself. So my trepidation was magnified when a colleague told me not to expect much: Franklin was famously guarded and known for giving short, to-the-point answers and little in the way of introspection. Over the years, we’d have many more conversations. Sometimes, I’d get a note from her publicist, Gwendolyn Quinn, who’d let me know that Franklin would like to talk to me; she sometimes rang me on her own. She called me Ms. Moody, and I of course called her Ms. Franklin (though sometimes, just “Aretha” would pop out, revealing my lack of home training). We spoke when she was working on new music, or about an upcoming performance (like when she performed for the Pope in 2015) or even her fitness plan and weight loss. And her love of tennis (she was a frequent attendee at the U.S. Open). But at times, our talks were revealing. In one 2007 interview, she vented her frustration that while she was among the greatest stars that popular music had ever produced, that never transferred to the big screen, despite small roles in movies like “The Blues Brothers.” She blamed it on racism. We also talked about her health. She had been very sick a few years ago, to the point where her friend the Rev. Jesse Jackson asked the public to pray for her; when she got better, I was one of the first she discussed her recovery with. “My treatments are going very well. My last CAT scan, my doctor at the CAT scan and everyone who sees this says that this is miraculous, absolutely miraculous,” she told me. However, when I pressed as to what her sickness actually was, she said: “I’m not one to go into my personal health things.” (It was only after her death that it was revealed she died of pancreatic cancer). She gave me the first news of her engagement, to old friend Willie Wilkerson, in 2012. In an interview, she joyously talked about the wedding gowns (Donna Karan and Vera Wang were among the possibilities). She also let this nugget drop: She was once involved in an “intimate” affair with a late-night TV host whom she wouldn’t name. My invite to that wedding never came – she announced the engagement was off soon after. But I did get an invite to one of her celebrated birthday bashes in New York, at a swanky hotel overlooking Central Park. Among the celebrities who would turn out over the years were Denzel Washington, Tony Bennett, Gayle King and Bette Midler; Franklin held court at a table, usually sitting next to music mogul Clive Davis, as people came by to give her her propers, as she would say. Our last conversation, in April 2017, may have made the biggest splash. She sent me a fax a day earlier lashing out at another diva, Dionne Warwick, for what she claimed were defamatory comments Warwick made about Franklin at Whitney Houston’s funeral – five years earlier. I had missed the fax. But soon, an email from an assistant came. When I called Franklin, she was still upset that Warwick announced at the funeral that Franklin was at the church that day – then said she didn’t show up – and also referred to Franklin as Houston’s godmother. Franklin said Warwick knew Franklin wasn’t Houston’s godmother (she said while she had known Houston from a child, she was far too busy to be anyone’s godmother) and that she couldn’t come to the funeral because of swelling in her feet. Her anger apparently had been re-ignited when the two legends honored Davis at a recent event: Franklin said when Warwick asked for a hug, she told her: “Oh hell no. You couldn’t be serious.” (Warwick declined to comment on Franklin’s verbal tirade). I didn’t speak to her again after that. The same year, Franklin announced she was retiring from the road and would do only select performances. At her last public performance, for the Elton John AIDS Foundation in New York City in November, she looked frail, and whispers about her health grew louder. To be frank, I was worried about her. I wanted to call and see how she was, but if she was truly very sick, who was I to bother her at this time? While as a journalist, you always want the scoop, as a person, I just wanted the Queen of Soul to be OK. So in March, I sent her a text, just to let her know she was on my mind. I was a new mom, and I had played her music for my baby boy, and I wanted her to know that I was hoping she got better soon, and wished her a wonderful year. She wrote back, thanking me for reaching out, and congratulating me on my son. She said she’d been “under the weather but better now, coming along.” I sent a picture of my son and told her that someday, I hoped he’d be able to see her perform. That was the last time we communicated. When her publicist gave the Associated Press the news that she died, while there was sorrow for her passing, I couldn’t help but feel enormously grateful that over the years, I had gotten the chance to glean into the personality of one of the most important cultural figures of our time – if only a tiny bit. And as I played her music, to see my 15-month-old happily clapping along to “Respect,” it reminded me that Ms. Franklin would be with us forever. Published: Aug. 18, 2018, 3:29 p.m.